This is the reason we aren't too creative in the kitchen at the moment and the blog posts are few and far between- we are running our first half marathon in 2 weeks! We've been following our training plan religiously since August but now the training's getting more intense; the runs are longer, more tiring and more time-consuming. This picture was taken when we'd just finished a 10-mile run- hence the look on my face! The past couple of weeks have been a struggle for me, as I've had a bad cough and sinus infection and having to run all through that was tough. Glad I did though, because now I finally feel like come the day I'll be able to give it my best shot and get round the course in a reasonable time. 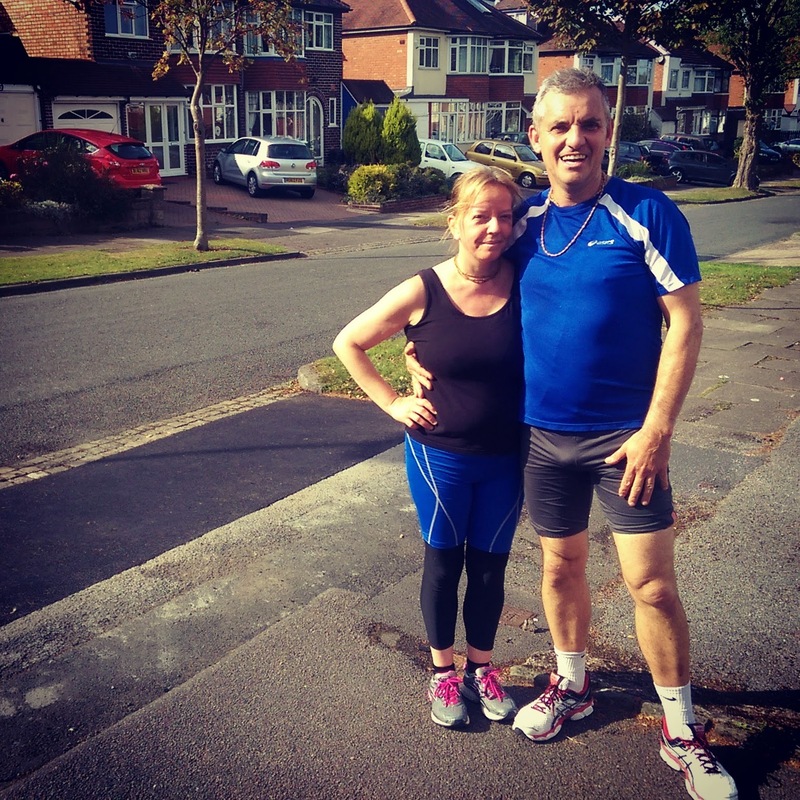 Good luck to you both, I have never ever attempted a marathon in my life, so totally admire you both. I'm certainly NOT a runner! I used to sprint 100, 200, and the longest distance in High School for me was 400 or relays but I soooooo can't long distant run! More power to ya! I envy you!